Pandora is bringing a whole new listening experience to Xbox One. Listeners can now stream the perfect soundtrack by searching and playing albums, songs and playlists with Pandora Premium to create personalized music moments while gaming. Xbox One works with any Pandora service. Gamers can relax playing their favorite Pandora stations for free, enjoy unlimited skips without ads on Plus, listen to one of more than 250 curated playlists or create their own with Premium. Gamers can search and play their favorite albums, songs and playlists with a brand new look and feel. They can enable Autoplay so the music never ends and plays songs similar to what they’ve been listening to. They can enjoy their favorite music with background audio support and new ways to navigate their music collection so that finding the perfect jam is easier than ever. 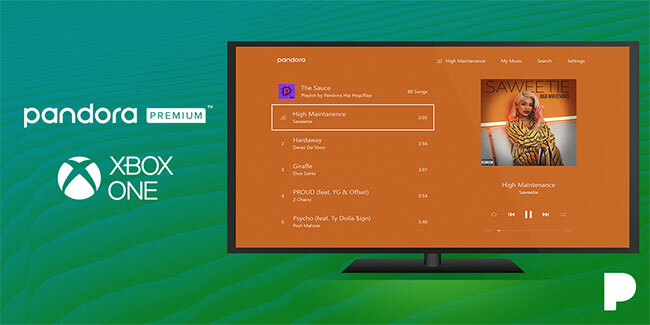 In addition to their partnership with Xbox One, Pandora is available on over 2,000 connected devices spanning TVs, game consoles, streaming players and more.